You can now create storyboards within StudioBinder’s Storyboard Builder. Label each storyboard to create shot lists at the same time, pick from an array of aspect ratios, view a slideshow to easily share with clients, and print to bring on set. But we’re just scratching the surface. A robust yet intuitive Storyboard Builder allows you create storyboards in seconds. With the click of a button, you can view your storyboard as a shot list. 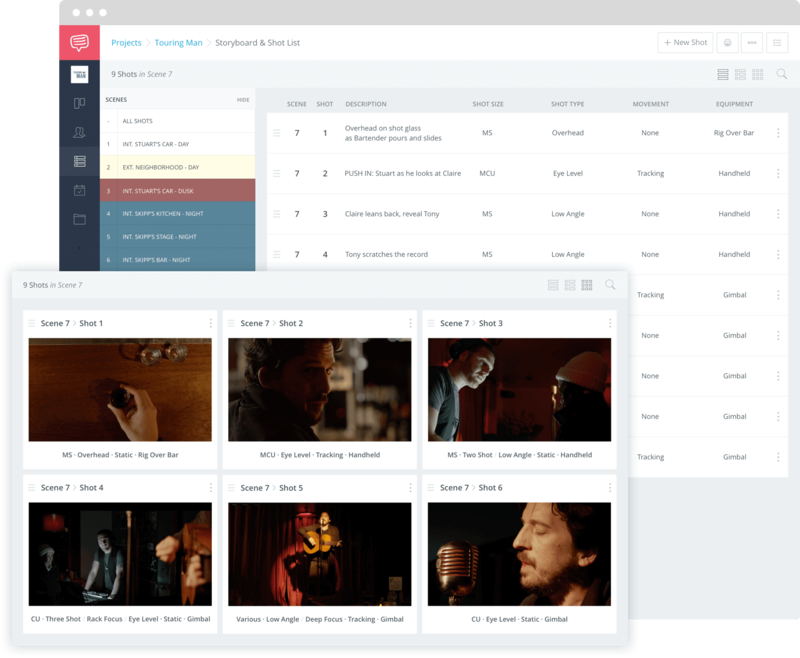 Choose from an array of options to tag each frame of your storyboard as a shot to create a custom shot list seamlessly. Choose from an extensive list of aspect ratios and columns to make a storyboard tailored to your needs. With slideshows, you can easily walk your clients through your storyboard, frame by frame. Simply click the Play button and you’ll be launched into fullscreen mode where you can walk through each slide. Easily reference a storyboard’s corresponding scene. Stay focused longer instead of needlessly switching between windows. Print or save your storyboard as a PDF so everyone is on the same page.